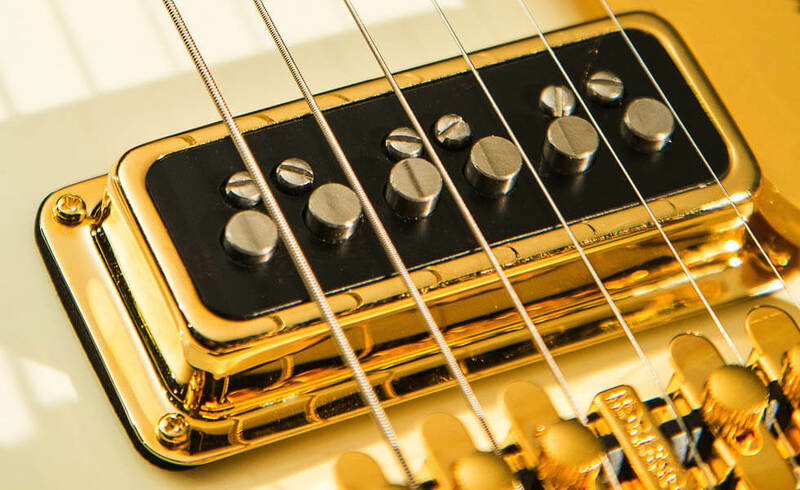 Pickups & controls are the voice of your instrument. POWER is the pickup output, fullness, compression and overall sonic "size". DEFINITION is the pickup articulation, clarity and dynamic range. "Gretsch Filter'Tron Electric Guitar Pickups Filter Out Hum, Neon Noises, Crackle and Electrical Disturbance!" The Filter'Tron "Electronic Guitar Head" was introduced in 1957 at the summer NAMM show in Chicago. 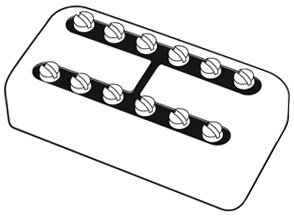 Filter'Tron pickups feature dual-coils and are designed to Filter out the elecTronic hum normally associated with single-coil pickups, while adding a warmer tone, and a significant increase in output and sustain. 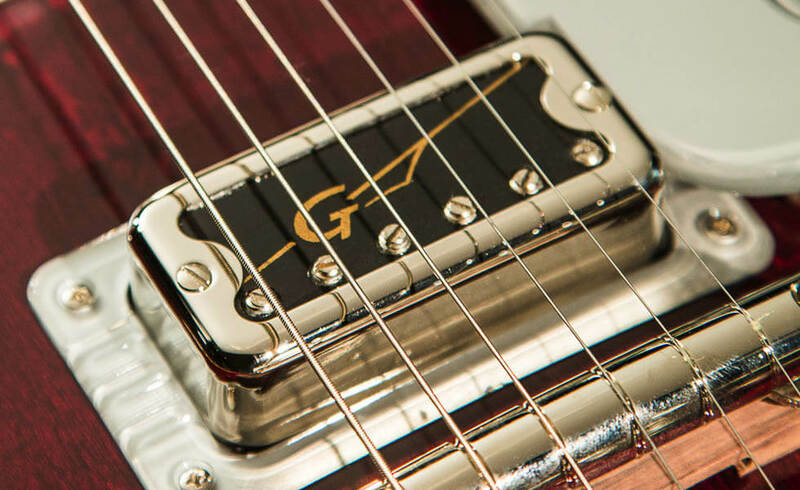 "Gretsch Full’Tron™ Electric Guitar Pickups Filter Out Hum, and deliver a mid-concetrated growl!" 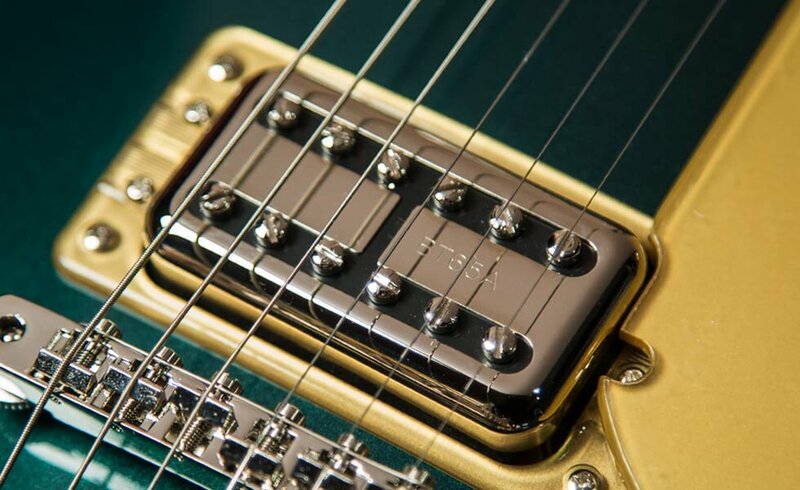 U.S.-made Full’Tron™ pickups deliver full-spectrum sonic range with a growl unlike any other pickup, in addition to classic Gretsch chime, balance and brilliance with a dash of extra-mid concentration for powering through overdriven and distorted passages at full volume. 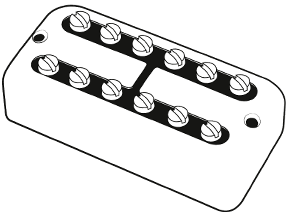 "Broad'Tron™ Electric Guitar Pickups Filter Out Hum, while providing true Power and Fidelity!" The Broad'Tron™ meticulously captures the guitar's sonic palette and reproduces powerful mids, extended lows and an exceptionally clear, yet smooth high end. The result is the perfect mixture of wall-shaking power and full-spectrum fidelity that delivers unparalleled overdrive and shimmering cleans. 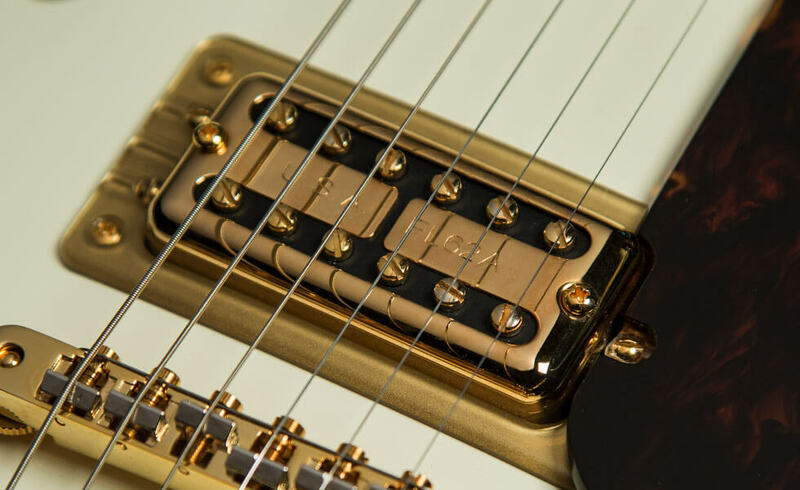 "HiLo'Tron Electric Guitar Pickups Feature Full Hi-Fidelity, Brilliant Highs, Mellow Lows and Extra Lively Response!" 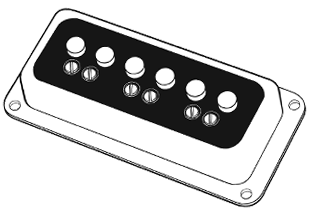 Gretsch HiLo'Tron "Electronic Guitar Heads" were developed in 1958 as a replacement for the venerable DeArmond pickups. 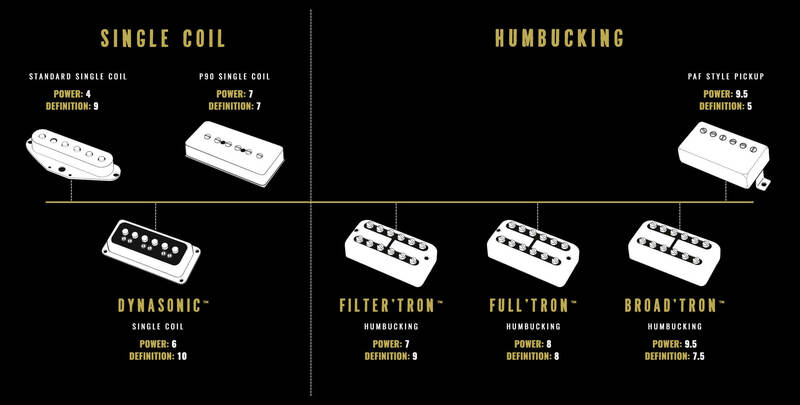 HiLo'Tron single-coil pickups have an incredibly broad range of tones, from "Brilliant Highs" to "Mellow Lows!" 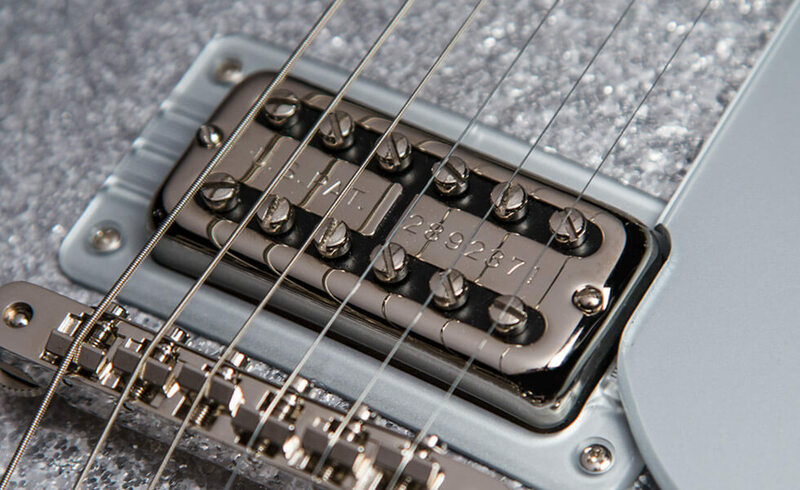 "DynaSonic Pickups Yield a Tone of Incomparable Power and Fidelity!" 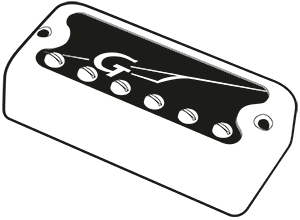 Originally known as the Gretsch-DeArmond Fidelatone, the DynaSonic single-coil pickup has been a Gretsch standard since the late '40s. Being one of the first pickups to offer individually adjustable pole-pieces, DynaSonic pickups feature shimmering highs and a rich, full bass response.